Gir cow emotional happiness is very critical. 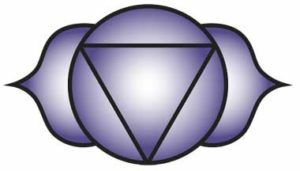 Emotional energy is the most powerful energy on earth. Only happy gir cows with positive energy can produce good quality & more quantity. Gir cows which are under stress productivity falls. Along with right dairy practice & comfortable cowshed planning, it’s important to understand the power of Nature. Nature provides a beautiful HEALING TOUCH. There are Ayurvedic plants which are known as ‘Happy Herbs’ that de-stress and induce happiness. Ashwagandha is a powerful Ayurvedic herb. Ashwa = HORSE. Ganda = SMELL. Ashwagandha meaning ‘SMELL of a HORSE’ , symbolically represent strength of horse. In Ayurveda it is believed to provide the energy of an horse, having multiple health benefits. Tulsi is known as the Queen of Herbs, the most powerful incomparableHerbs in Ayurveda. It has multiple benefits, DE-STRESS herb, immunity booster and an insect repellent. Ginger & Pudina with there healing medicinal aromatic properties provide great energy booster to cows. It is beneficial to know & enjoy the healing power of happy Herbs. These simple plants help in adding JOY around the atmosphere with their medicinal & aromatic power. Good digestive health is the FOUNDATION for overall health. Only cows with healthy digestion can convert feed into milk. Good digestive system only can convert feed into Good quantity and quality milk. So it is important to maintain and support good digestive health. Some of the powerful digestive herbs are Aloe Vera and Ginger. These are simple herbs which can grow around the farm adding great benefits to Gir cow dairy farming. They help in healthy digestion, Cow rumen well-being. Only gir cow’s with good udder immunity can stay healthy & produce more milk quantity & better milk quality. Only when the Udder has better immunity and resistance to infection it can produce good quality and quantity of milk. The famous Herbs which are known to support good Udder health are Shatavari, Drumstick, Turmeric and Garlic. These herbs believed to enhance immunity, hormonal wellbeing. The three power energy zones influence milk productivity and quality! So, it is important to ensure right practice and environment to provide healthy well being for cows. 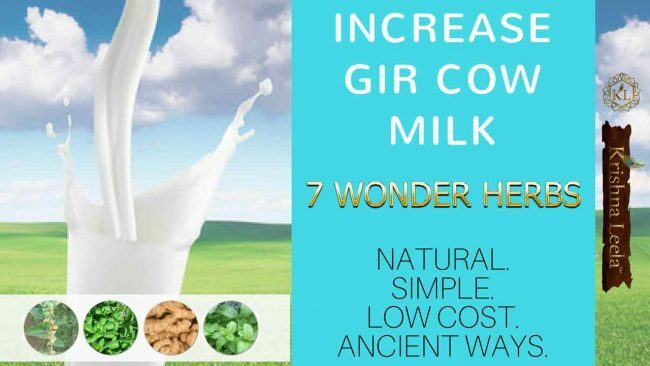 So, instead of complicated & expensive practices for Gir cow dairy farming, welcome the ancient wisdom & power of 7 WONDER HERBS. HERBS in Moderate consumption are beneficial. Anything excess is not healthy. Poly-herbal supplement self feed practice aids in Cow milk production. In ancient days by very virtue of strong belief in herbs, there used to be polyherbal patches around the regular grasslands. One could see the beautiful aromatic Tulsi, Pudina growing in & around the pasture. One could see the rich digestive herb aloe vera and Ginger sprouting here and there. Some of the ginger rhizome roots emerging out of the soil and the green juicy aloe vera inviting the grazing cows. One would see various herbs & plants intermingled with each other spread across acres of grassland. Ashwagandha, Neem, Amla, Guduchi-Giloy, Gokshura, Shatavari growing heavenly across patches of pasture grasslands. The mother earth was a fertile ground of Nourishment and ancient dairy farming believed in one simple philosophy simplicity and let food be the source of Nourishment & natural medicine as well. 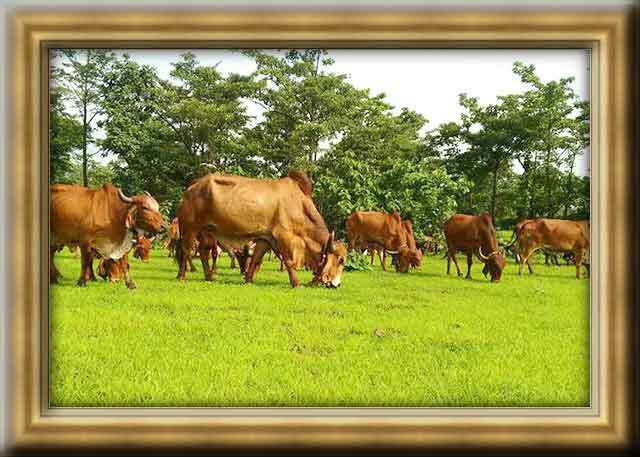 ‘FOOD’ is one of the critical factor for Gir cow growth, health, productivity . Also. Cow feed in confined dairy farm adds to almost 50% of the cost. So, dairy farms & start-ups need to explore opportunities for dairy farm set-up around the city outskirts, which can provide ample grazing opportunity & also within easy distance of around 15 to 20km from the city, one can manage the selling of milk as-well. This will help in dairy farming without incurring too much cost on the feed. One of the major challenges faced is the CAPITAL INVESTMENT REQUIRED for purchasing grazing lands. It does not make commercial sense to invest on large grazing lands.However, there are smart ways like without investing heavy capital, it’s always smart to first explore LEASING/RENTING agriculture lands. One can avail agriculture lands at nominal monthly rental which provides ample scope for fodder management & organic farming as well. Keshav sharma, practices gir cow dairy farming on the outskirts of bangalore, around 25km away from the city. Cows were created and designed to enjoy open grazing. Unfortunately, current dairy practices as moved away from the rich ancient wisdom. Ancient wisdom followed 3 powerful Cow feeding practices. 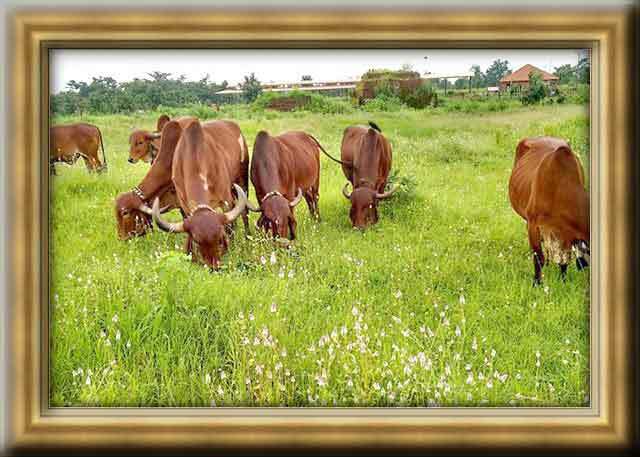 Firstly, OPEN NATURAL GRAZING was the norm. In open grazing, cows enjoyed freedom of ‘SELECTIVE FEEDING’; each cow had the choice of selective feeding. They fed on grasses & herbs which were naturally available under the rich sunshine & helpful for their health, growth & productivity. They relaxed & enjoyed the grazing under the open sky. Human interference was bare minimum. Man did not interfere in deciding the quantity & quality of feed for cows. Cows were MASTERS OF THEIR CHOICE & CHOSE THE FEED AS PER THEIR REQUIREMENT. Now, its time to evaluate & explore this polyherbal cultivation intermixed with crops. This will act as natural milk booster in increasing the Gir cow milk productivity. Try to explore the important herbs based on ancient wisdom & simple cost-effective practices which supports in a miraculous way the overall health and well being of cows increasing the quality and quantity of milk production. Interested to know more On Gir cow! Sir very useful information . This information really encourages many other farm holder also and I am promise that i am spread this information to all the farmers I knew and also to farm holder . Thanks for your appreciation, KL Team values your motivation. Sir I am having farm land with herbs like Tulsi,Aloevera, shatawari,Amla. So how much quantity I can give to a Gir Gau Mata per day. Everyday add handful of tulsi leaves in the water bunk. This is believed to purify water and provides immunity aswell to cows. Mix all of them ;chop into medium sized. Add 2 handful of mixed herbs into the cow feed/cow. Regular small qty of Herbs act as Health booster believed to help better growth, Reproductive -udder Health and increase in milk production. Please share your experience & observations after 10 days. Yes, we shall be adding visual ads like sketch & 3d models for idea in our Vedic Panchabhoot Cow Shed Program. Thanks for the information. Do we have any practical data of the total formulation of each herb and feeding these mix of herbs by how much percentage has the milk increased? Yes, ancient wisdom on dairy farming believed in making use of the nature’s gift of Herbs for Preventive Health Care & Milk Productivity. Kindly explore KL Vedic Panchabhoot Cow Shed Program to learn more. Dairy farms experiencing extreme winter, windbreaks in the form of warm cloth curtains/gunny rug screens & 3 side closed COW HUT, shall help cows in keeping themselves warm. Dairy farming is a good business but like all other business it have there own challenges and you try to introduce it. your effort is valuable. I have a two side open rectangular 900 Sq. Ft. plot of land (L-60 Ft X B-15 Ft) in a village in outskirts of Delhi. I have Electricity but no sewage facility. I want to set up a small family Goshala there with 1/2 Mother Cow+ 1/2 Calf. Could you please help/guide me, under the given space restrictions) to get the best lay-out plan. Please share the contact details/phone numbers in my email. I shall happily pay for the Sewa/Consultancy. I was waiting for reply for my query posted 2 days back which seems to have been deleted for unknown reasons. Please don’t delete my this comment and revert at the soonest. You can give a handful of all herbs once in a day. How much tulsi, pudina and ginger can be given to these desi cows in daily deeds. Generally, one hand full of all will be enough for a day.